Buy more, Save more! Buy 10 bottles, Get 2 bottles free!! Marine Phytoplankton is a tiny plant, a micro-algae, about the size of a red blood cell, that naturally grows in the ocean and is the foundation of the food chain. 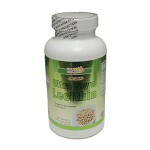 Essentially, it is a comprehensive whole food that can nutritionally sustain all living creatures on Earth. 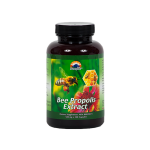 It has phenomenal nutritional benefits, potentially exceeding all other foods. 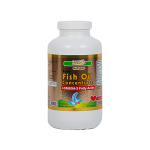 Marine Phytoplankton contains a source of nutrition which includes proteins, vitamins, antioxidants, minerals, trace minerals, pigments, enzymes, chlorophyll, essential fatty acids, including omega 3 fats, and more. 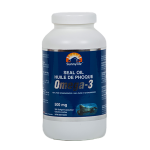 It is responsible for over 70% of the planet’s oxygen and because of its unique nutritional properties and microscopic size; it is believed to penetrate the cellular level of the body thereby enabling quick absorption and support to multiple health ailments. The nutrition available from Phytoplankton includes Vitamins B12, C and E, magnesium, chlorophyll and potassium, to name a few. Marine Phytoplankton has the unique ability to transform sunlight, raw inorganic minerals, and carbon dioxide into an invaluable super food for living things. Phytoplankton contains the vitamins, minerals, essential fatty acids, antioxidants and amino acids from 200 sea vegetables that are required for good health. Since it is so nutrient dense, very little quantity is required to achieve significant nutritional benefit. What are the Real Benefits of Marine Phytoplankton? Helps in the maintenance of good health. 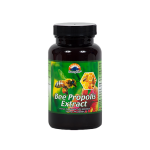 Helps in the maintenance of bones, cartilage, teeth and gums. The elements and electrolytes in plankton are almost tailor-made for the human body. It is no coincidence that the composition of human plasma is similar to that of seawater. 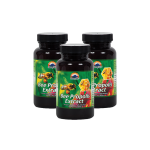 Phytoplankton provides many, if not all, of the trace elements we need to keep balance in our bodies, and thus to help us live a full life at optimum health levels. Plankton has an alkaline pH, which is important, given the acidity of our diets high in refined sugars, soda pop, and farmed large animals. 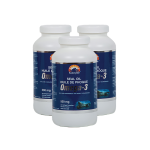 The high density of nutrients found in algae is extremely important. These nutrients maintain the structure and function of human cell membranes. 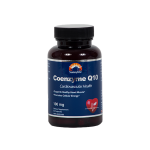 This is vital the overall metabolism of human cells. In fact, the causes of diseases have been simplified to very specific mechanisms, all of which center on cell membrane function and structure. 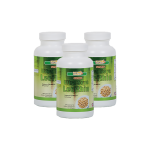 For example, Inflammation, Oxidation, and Mitochondrial dysfunction keep cell membranes from doing their job effectively. 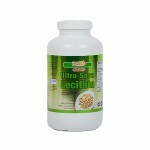 Algae contain high levels of antioxidants, and anti-inflammatory micronutrients to fuel metabolism. 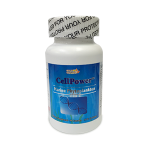 What is CellPowerTM Marine Phytoplankton? 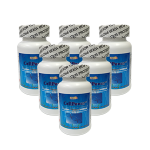 The best source of Marine Phytoplankton is in an amazing product called CellPowerTM. 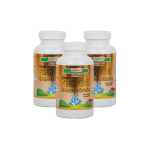 With over 200 types of diverse chlorophyll rich plankton nutrients for achieving maximum health benefits, CellPowerTM is one of the best tasting and healthiest supplements ever made. Canada Marine Bio-tech Research Center is the first company in the world to develop the technology that taps into this life-force, and CellPowerTM is the result. 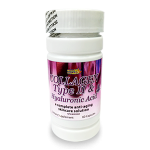 This revolutionary product is comprised of salt-water algae undetectable to the naked eye. Cultivating these wild micro-algae in commercial quantities was once thought to be impossible, without depleting the oceans supply. 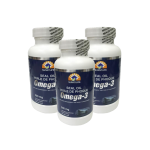 This truly unique and organic process cultivates the algae, and then extracts the nutrients in a form available to the human body. 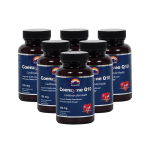 This concentrated, pure form extract makes it possible for your body to absorb the various elements it requires. What is the Science Behind Marine Phytoplankton? Phytoplankton is the basis of all other life forms on planet Earth. It is the 'vegetation' of the ocean. Phytoplankton is responsible for making up to 90% of Earth's oxygen. Phytoplankton is the food utilized by some of the world's largest and longest living animals and fish. Marine micro-algae, also known as Phytoplankton, comprise hundreds of species of photosynthetic, unicellular organisms belonging to the Kingdom Protista. Temperate coastal waters, such as those along Gulf Islands of British Columbia, B.C., Canada, are highly productive and support a diverse array of micro-algal species, including the primary producers called diatoms (Class Bacillariophyceae). Essentially, spring bloom conditions are reproduced by Canada Marine Bio-tech Research Center in a controlled environment, and this diversity of species is represented in the product CellPower. Is Marine Phytoplankton Linked with any Food Allergy, Intolerance or Sensitivity Issues? 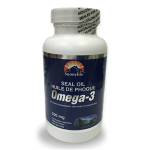 No allergic reactions using Marine Phytoplankton have ever been reported. It is considered a safe whole food. Taking too much, too soon, could result in nausea and/or increased bowel movements. If you notice these symptoms, simply decrease the daily intake amount for a few days until your body adjusts. Will Marine Phytoplankton Interact with any Medications? 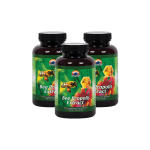 Marine Phytoplankton is a whole food supplement. 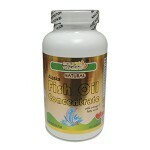 It is rich in vitamins, minerals, carotenoids, protein, and essential fats. Since it is a green plant food, it is known to be a source of vitamin K which may affect the therapeutic properties of blood thinners. 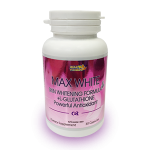 If you are taking blood thinners, use this product under the guidance of your health care professional. Depending on your nutritional needs, the amount of Marine Phytoplankton you may want to take will vary. We suggest 5~10 capsules daily. We recommend taking this amount for maintenance of every day health. 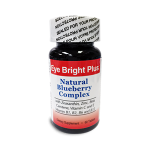 For patients , please take 20 to 40 capsules or more per day. 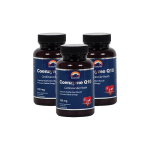 For patients in severe cases, take 15~20 capsules each time with 4 ounces cool water (under 30C degree), 4 times each day 30 minutes prior to meals (breakfast/lunch/dinner) and night sleep. CellPower Marine Phytoplankton - Single Bottle (90 Capsules/bottle) Buy more, Save..
SunRecome Capsules - Ganoderma Complex Powder - Single Bottle (75 Capsules/bottle) ..
100% Harp Seal Oil Omega-3 - 100 Capsules - Single Bottle (100 Soft Capsules/bottle) ..
100% Harp Seal Oil Omega-3 - 100 Capsules - 3 Bottles Pack (100 Soft Capsules/bottle) ..
100% Harp Seal Oil Omega-3 - 100 Capsules - 6 Bottles Pack (100 Soft Capsules/bottle) ..
100% Harp Seal Oil Omega-3 - 300 Capsules - 3 Bottles Pack (300 Soft Capsules/bottle) ..
100% Harp Seal Oil Omega-3 - 300 Capsules - 6 Bottles Pack (300 Soft Capsules/bottle) ..
100% Harp Seal Oil Omega-3 - 300 Capsules - Single Bottle (300 Soft Capsules/bottle) ..